Soundtracks are a tool to help desensitize dogs to noises that result in fearful, agitated, or highly excitable reactions. How they are used is dependent on the dog’s behavior. Used improperly you can sensitize a dog to sounds by making the reaction stronger or hyper sensitive to the sounds. Sensitization can also result in the dog becoming sensitive to additional sounds that were previously of no concern. 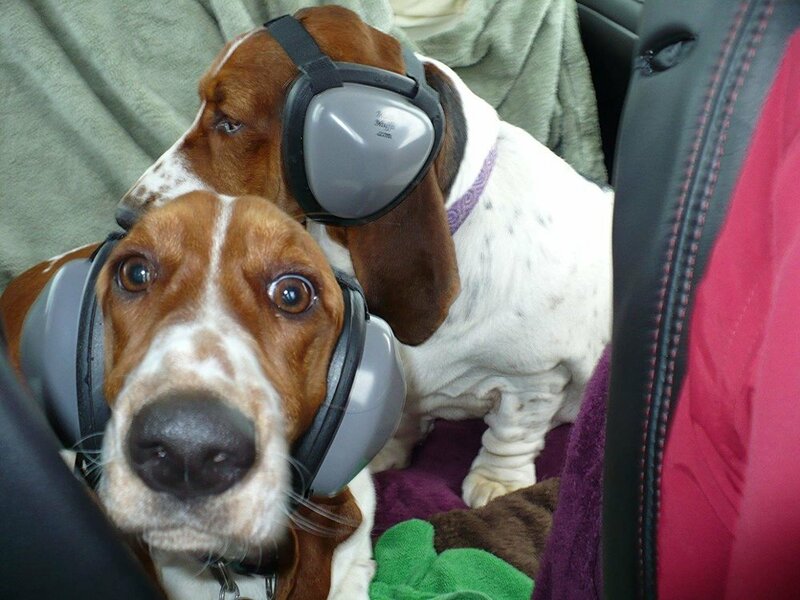 Mutt Muffs hearing protection developed for dog that fly in small planes. This may be a helpful tool when a dog has not been desensitized to sounds like thunder storms that create fear. I have not tried SOLLIQUIN so I have no personal knowledge but others have reported good results. The same soundtrack can be used in three differing programs designed to help with sensitivity to specific sounds. Place the speaker across the room from where your dog would normally rest when your dog is not present. We do not want to draw attention to the speaker. DO NOT use this program for dogs with anxiety, fear, phobias, aggression, out of control arousal, or dogs that may redirect aggression due to frustration. This program may be appropriate for dogs exhibiting excitement or high arousal. I DO NOT recommend this program for dogs with anxiety, fear, phobias, aggression, out of control arousal, or dogs that may redirect aggression due to frustration. This program is simply letting the dog get used to sounds by repeated exposures to the sounds in question until the sounds become inconsequential and no longer provoking a reaction. The sounds are played at normal levels and the soundtrack repeats these sounds at short intervals. Over time the sounds can become familiar and meaningless and no longer creating a negative reaction. People habituate to traffic, airplanes, and train sounds over time and get to the point they don’t pay attention to them anymore since it becomes background noise. For the first 3-years my Dalmatian would startle and bark each time the air conditioning unit would turn on when we were in the backyard. Over time she got used (habituated) to the sounds to where it no longer elicited her to bark. For her it was not fear, but rather a normal startle reaction that resulted in high arousal. A startle response is involuntary so never attempt to punish or correct such a reaction. For dogs that become overly excited/aroused to sounds such as a knock at the door or doorbell a habituation program may be appropriate. When appropriate, having the family knock or ring the doorbell each time they enter the home can over time reduce the excitement/arousal of the dog. For the dogs that a knock or doorbell signals visitors have arrived it will become an unreliable indicator to your dog that there is a visitor present and so the barking response should become less intense or more manageable due to a lower level of arousal. This program may be appropriate for dogs with mild fears or concerns. In many cases its best to complete the desensitization program before starting a counter-conditioning program. Counter-conditioning is pairing something desirable with the thing that evokes fear, frustration, reactivity, etc… An example would be to give your dog a special treat every time they heard the scary trash truck with the goal of creating a new pleasant response to the sound of the trash truck. The goal is the trash truck would no longer create fear or frustration, and now would result in anticipation that something good will happen when the sound of the trash truck is heard. Counter conditioning can work with dogs exhibiting mild concerns or fear. And if this is the case it will work fast. But for dogs experiencing something more than mild concern it’s important to understand that for counter conditioning to take place the dog must feel safe, otherwise it is likely not much more then treat dispensing which the dog may or may not take. Problems can occur if the “desirable” thing is presented or displayed before the thing (sound/noise) of concern. You can create the complete opposite of what you had intended if not careful. The “desirable” thing can become a reliable indicator that the fearful or scary thing is imminent resulting in the desirable thing now eliciting those same negative emotions. This program is for dogs with anxiety, fear, phobias, or out of control arousal, frustration. For dogs exhibiting fearful reactions, agitated reactions, or highly excitable reactions. A desensitization program is for dogs that exhibit fear, phobias, or over-arousal resulting in frustration or other unproductive levels of arousal. The focus here is on sounds that trigger reactions with the goal to have the sounds become inconsequential and no longer provoking a reaction. This is done by the dog building a tolerance over time so they find the sounds inconsequential. This program may not work for dogs with hearing deficits because they may not reliably hear the sounds at the lower levels so they build the immunity or tolerance. Dogs with hearing deficits may only hear the sound when its at a volume that provokes a reaction. A desensitization program is a slow repeated systematic exposure to sounds at levels that do not elicit a negative reaction. Much like lifting weights the goal is to not lift anything above the capabilities of the individual. Over doing it or increasing the volume to soon may make the reaction stronger or the dog hyper sensitive to the sounds. A desensitization program should be started when we have the best chance of keeping these sounds under our control. 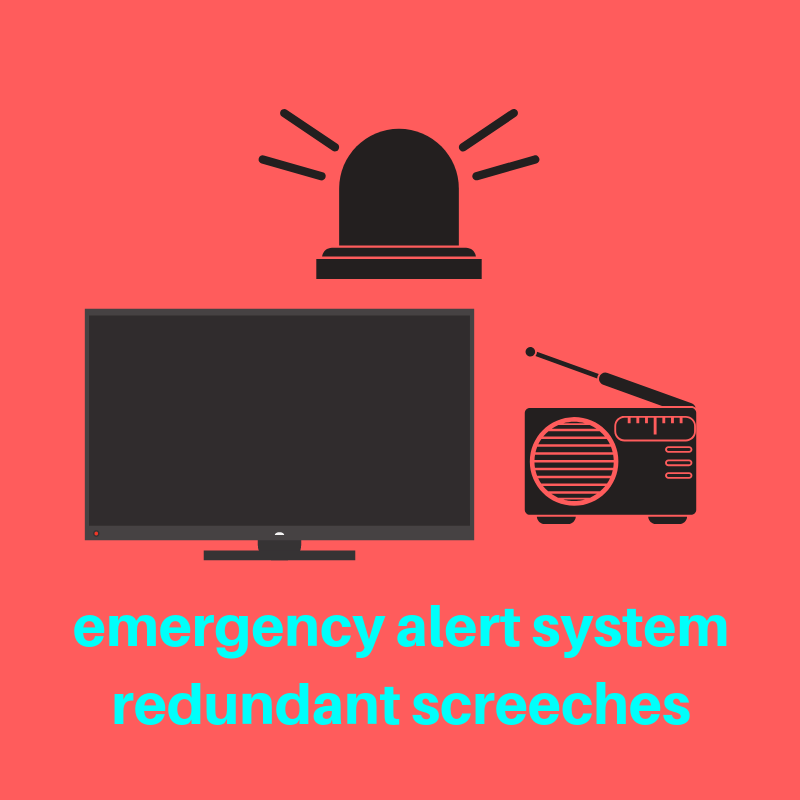 Preferably start months or at least weeks before the dog is naturally exposed to these sounds when they are out of our control like occurs during storm season, or fireworks during popular holidays like New Year Eve or Independence Day. The desensitization soundtracks are approximately 15-30 seconds recording that repeat in a predictable pattern to limit the dog being startled or surprised by the sounds. Through a systematic and repeated exposure and predictability of soundtracks the goal is to build the dog’s immunity to the sounds over time. Choose a time and place where your dog feels safe and is lying down and comfortably resting. Sit down lean back and relax (be sure you look relaxed and are breathing) and casually observe your dog. Starting with the volume off slowly raise the volume so it can barely be heard and hold that volume for about 1-minute. At the same time you start to turn up the volume from 0 watch your dog for the faintest indication that the sound has been heard. You may observe the ears move, eyes open, or a head tilt. If you see no indication that your dog has heard the sound slightly raise the volume and hold for another minute and continue in 1-minute increments until you see an indication that your dog has heard the sound. We do not want to see the dog jump, startle, move to another room, or display any signs of concern, distress, or high arousal. If you do get a startle response or the dog becomes aroused turn the volume off and try again the next day being careful to keep the volume at level the dog can handle and still treat the sound as no consequence. It’s important to keep the volume below the threshold which evokes a reaction. When you see an indication your dog has heard the sound and they are not showing any signs of concern and have not become activated nor left the room, leave the volume at that level and let the recording continue to play and repeat for a minimum of 4-hours uninterrupted. If possible let the recording play for 24 hours. The goal at this point is to play the recording at or near this level as many hours as possible for the next 3 days. This needs to be at a level the dog can handle without a negative reaction (below threshold for any level of reactivity) and still treat as inconsequential. For the first 3 days we want repeated exposures to the sound near this baseline volume. Each day you start to play the recording you will need to follow the same program of watching your dog for a response or reaction. Playing the volume at a level “3” yesterday is no guarantee that your dog will give no reaction on level “3” today. If after three or more days with the recording playing at this low level with the dog giving no response slowly raise the volume a bit more each day being careful not to increase the volume to the extent you provoke a reaction from your dog. It’s important to remember we want a slow repeated systematic exposure to sounds until the dog can treat the sounds as inconsequential at a level they would normally hear the sounds. Once your dog has no reaction to the sounds at normal levels start to move the speaker to differing rooms or places in the home so the location of the sounds if different. When you do this you will still need to watch your dog to be sure the volume is at a level your dog can handle. If after several days with no response playing the recording from differing places in the home you can now move the speakers outside a window so the sound now originates from outside the home. The final step in the program will be to repeat the process and place your speakers in several outdoor environments like the yard, park, or other locations your dog would normally visit.